Happy Independence Day to my fellow Americans, and happy Saturday to those of you living outside the US. 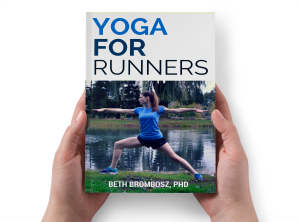 Since it’s Saturday, I imagine that many of you runners are getting out on long runs today, preparing for half marathons or fall marathons. And, I bet a lot of you are wearing compression to improve performance and speed up recovery. 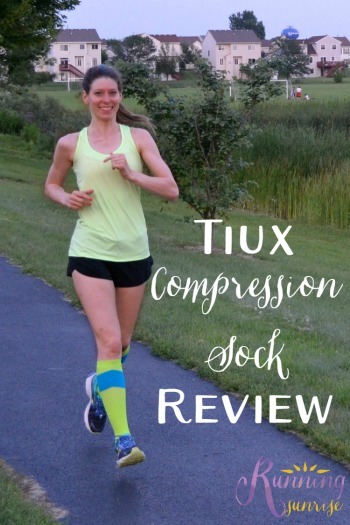 Today I wanted to share my thoughts about a great new compression product that I’ve been able to try over the past few weeks, Tiux compression socks. 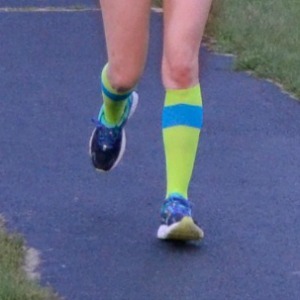 The folks at Tiux sent me a pair of their socks to try out on my runs a couple of weeks ago, and I’ve been able to try them out for several runs. First, a little about Tiux and their product: Tiux is a small startup specializing in premium compression socks. You can only buy their socks online, which helps them reduce the cost of the socks because you’re buying the socks directly from them. And, they donate 1% of their sales to charity, which is always a bonus. Overall, I liked these socks a lot. (Full disclosure: because I’m not training for any very long distance races, the longest run I tried them on was 6 miles.) These compression socks some good squeeze, which I could feel during my workouts. My calves definitely felt fresher than they do when I don’t wear compression socks, especially during the speedwork I did. What I really loved was how soft the fabric was. Out of my many compression socks that I own, I like the touch of these the best. The foot of the sock is also really cushy, which helps add some comfort for runs. My one criticism of the Tiux socks is that they don’t seem to squeeze as firmly as some other brands, but that does make them a little easier to put on. Are you a fan of compression socks? 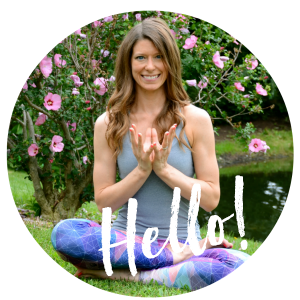 Do you ever use compression for recovery?